innovative features that out perform the competition and make work easier on the pros. New introductory price for All Primate Pool Tools! The World's Strongest Service Pole! Quality materials make quality tools. 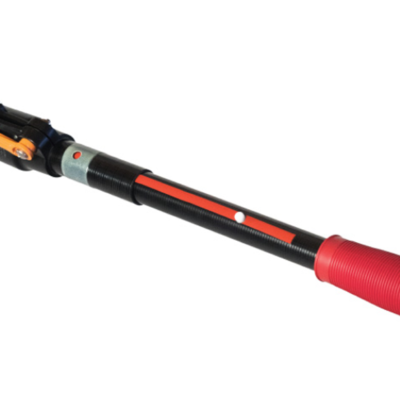 Built from ultra strong CARBON FIBER and reinforced with fiber glass, our design is lighter and three times stronger than aluminum, makes this the most durable pole available on the market. The Primate Pool Tool lever locking system sets it apart from the competition. This minimalist design lets you make length adjustments with ONE EASY ACTION. Just flip the lever open to loosen, make your adjustment, and snap it back down to lock in place. Adjusting the third extension of the Primate Pool Tool is quick and easy. This length of the pole is equipped with TWO SNAP LOCKS. Simply follow the red guide to line the internal V-clips with the holes, and lock it in place as you would any standard tool. The Primate Pool Tool weighs only two pounds four ounces. 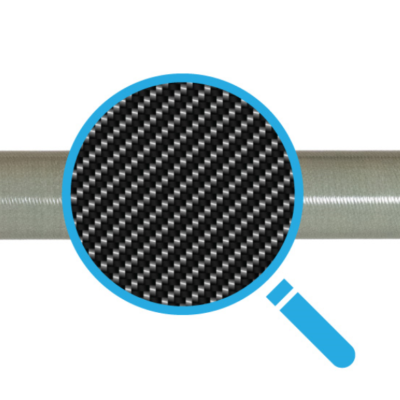 This carbon fiber design is HALF THE WEIGHT of a standard three piece service pole. It collapses to 6 ft. and fits comfortably and safely inside all truck beds. Need an Extra Length for your Pole? The Primate Pool Tool features new options. Each 6 ft. extension is made of the same ultra strong and light weight carbon fiber design as the main pole. One extension will lengthen the pole to 22 ft. A second extension will lengthen the pole to 28ft. 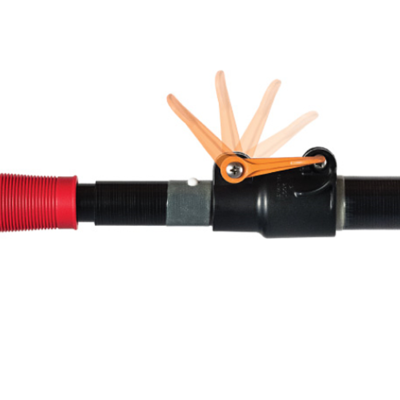 Simply snap the extension into your pole as you would any standard tool. Joe DiAnna, the founder of Primate Pool Tools, has over 30 years of experience in the pool service industry. Primate Pool Tools manufactures reliable, innovative and durable products that help people in the pool business save time and money. 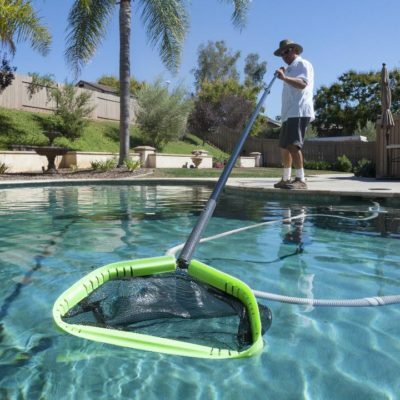 Primate Pool Tool owner, Joe DiAnna provides his customers with a pole that delivers excellent performance and long-lasting durability.